Türksat AS began the project in September 2011. Turkish Aerospace Industries (TAI) will the turkish industry partner. The final production contract was expected for 2015 but was much delayed to October 2017, when Airbus Defence and Space was selected. 25% of the satellite is to be built in Turkey. Türksat-5B is built on the all-electric Eurostar-3000EOR bus and will weight about 4500 kg at launch. It provides 15 kilowatts of power at the end of its life and features a Ku- and a Ka-band high-throughput (HTS) payload, with the HTS capacity to exceed 50 Gbps. 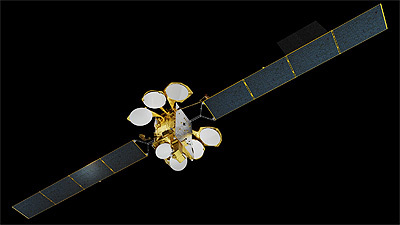 The aim is to launch Türksat 5B to its 42° East orbital location in 2021 on a SpaceX Falcon-9 v1.2 (Block 5) rocket.